There's definitely a sense of relief. It's just been a very long two and a half years. I've described it as a ball and chain ? something we've had to carry around with us. It's tough, but it's better than not knowing where they are. 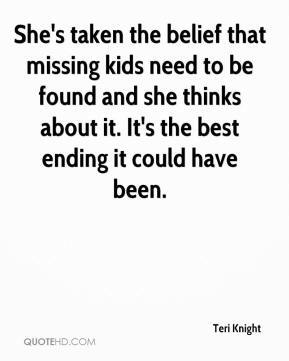 She's taken the belief that missing kids need to be found and she thinks about it. It's the best ending it could have been.